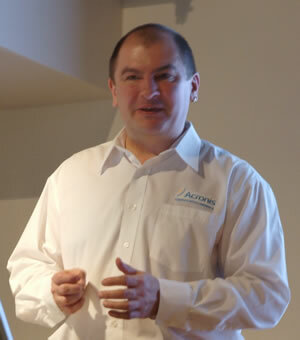 Our friends Simon Bills and Sergey Zimm from Acronis returned this month to show the group the 2011 range of Acronis backup and security software. 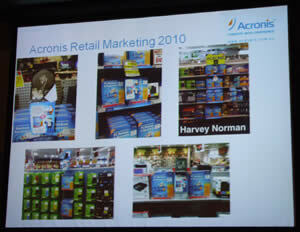 Acronis’ core home product is the Acronis True Image Home 2011. This software was designed to make backup and recovery of lost data as simple as possible. 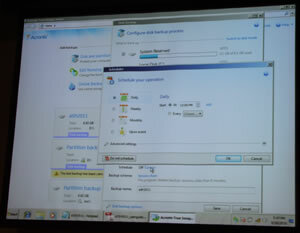 The new version has four new features including full integration with Windows 7 and USB 3 support. 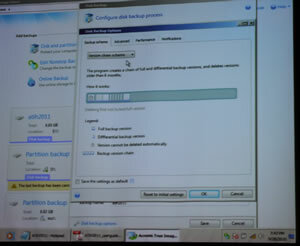 The software upgrades include predefined backup schemes and checkpoints for Acronis backup explorer. 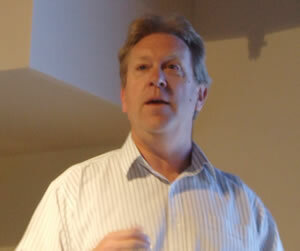 Simon started the evening by telling us about the whole range of Acronis products, including those only available for download which include the new range of Acronis security software. 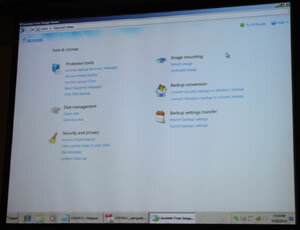 Backup and Security 2011, an Internet Security Suite, Migrate Easy 7 and a new product in 2010 Disk Directory 11 Home. Migrate easy is designed to help you migrate from an old hard drive to a new one and Disk Directory makes the management of your partitions easy, giving you tools for partition, merging, resizing and moving files. 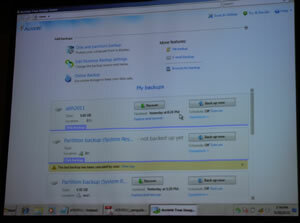 Migrate Easy also has a disk recovery tool, and the Acronis OS Selector which gives you a duel boot capacity. 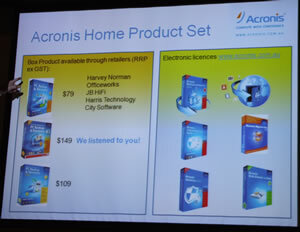 Last year several members asked if Acronis had a three PC version of True Image Home. It’s nice to be listened to. 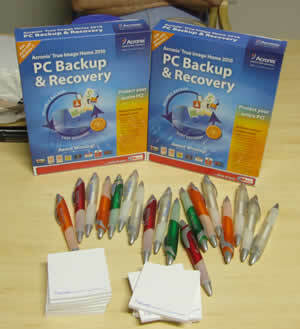 This year Simon introduced the 3 PC Licence of the Acronis PC Backup and Recovery for $149. 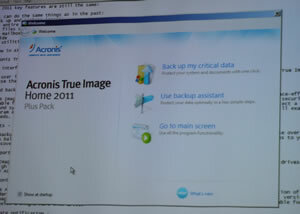 Next up Sergey ran through the main features of True Image 2011.
and how to schedule backups. True Image creates a full backup when you first run it. Then the Acronis non-stop backup creates incremental backups until your next scheduled full backup - or you can set a regime of full backups. 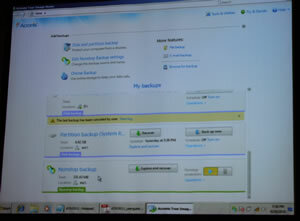 Sergey also showed us how precise you can be in setting up partition backups and the non-stop backups. 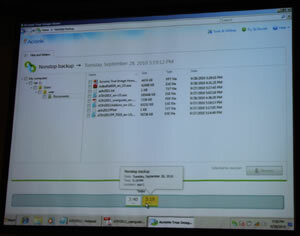 With non-stop backup, you can really drill down into the system to determine the data you want to backup. He finished with a run-down on the new tools True Image has available. because the 2011 version was only released this week. Our lucky winners also got a free upgrade to 2011. Sergey answered by showing not only the link to the PDF guides below, but how good the help files were. For those who could stay for the Q and A session, Simon had another surprise. 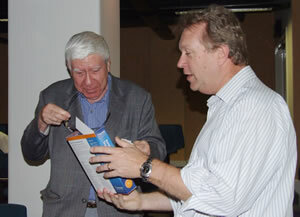 The two best questions also received a licence key for a download copy of True Image 2011. 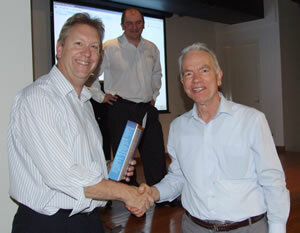 Sydney PC User Group Inc. © 2008 Last updated: Fri. 5 Nov. 2010.